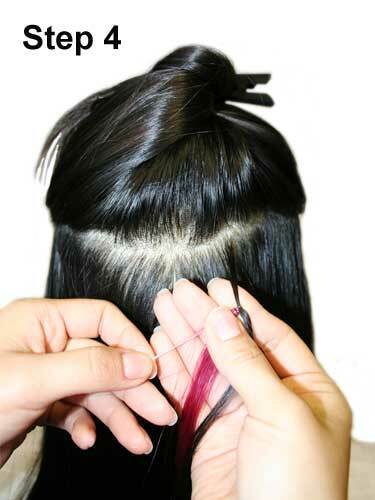 So you want long lasting, luxurious hair extensions without a fuss? I&K have you covered. 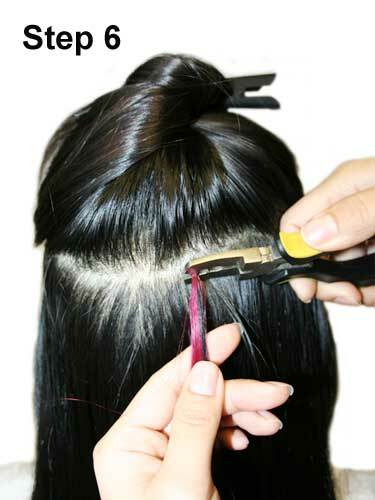 The micro loop ring human hair extensions are easy to apply, without heat or glue. With a micro ring already in place, all you need is the pliers to press them on. 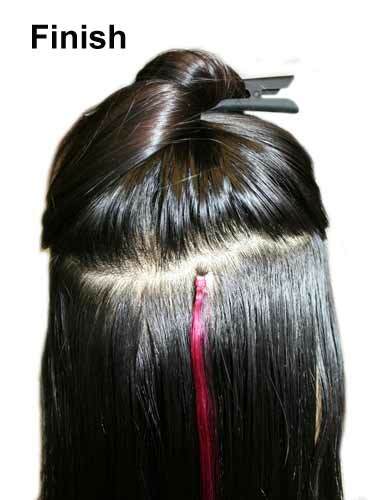 Using the finest quality, 100% human hair, the I&K micro loop ring extensions are just like your own hair, but better. Cut them, curl them, straighten them, and style them just as you would your natural locks, but benefit from the added length. Whether you opt for beautiful black or brilliant brunette, bombshell blonde or radiant red, a vibrant shade or ombre shade, it’s time to shake up your hairstyle. 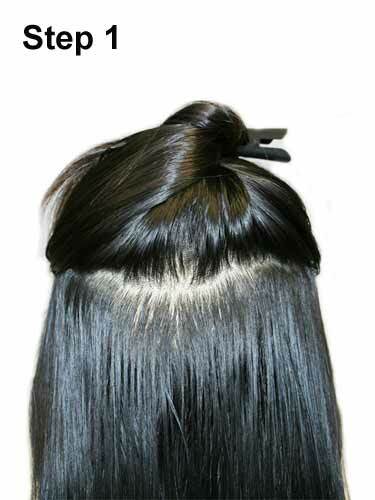 With 20 sleek, glossy, and oh so soft strands in each pack, you get all of the hair, for a bargain price. 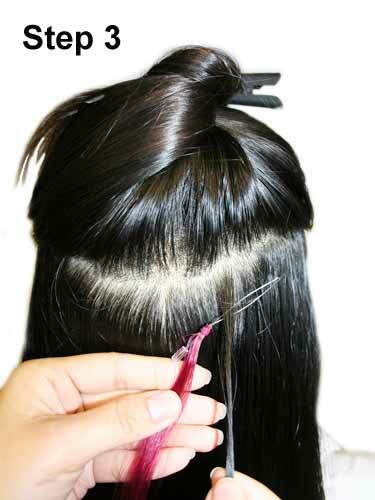 Best of all, when you’re adding length, you’re also adding volume. Get the body boost you’ve been looking for without the need for heat or glue, thanks to I&K’s human hair extensions. I have always purchased hair extensions from you and they are of the best quality. I use them to add highlights and low lights to my hair. They are easy to put in and they stay put. Delivery is speedy and service is excellent. Thank you! 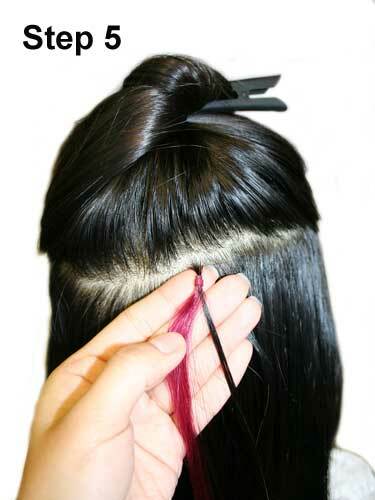 I've been a qualified hair extension it's for 10 years and are newly qualified with micro-loops, I do not rate these for finer hair, they literally slip right out as the bond bend around it too much giving it too much room, which is a real shame, better to get the stick tips. I will know for next time. Very disappointed with this hair. Paid Â£82.99 for it but it is so fine that I will need another pack. It looks silly. However I'm not prepared to pay a further Â£82.99 for another pack so it's fair to say I've wasted my money. excellent service - very fast delivery! hair is great quality, will be buying from here again! Perfect deep plum colour! 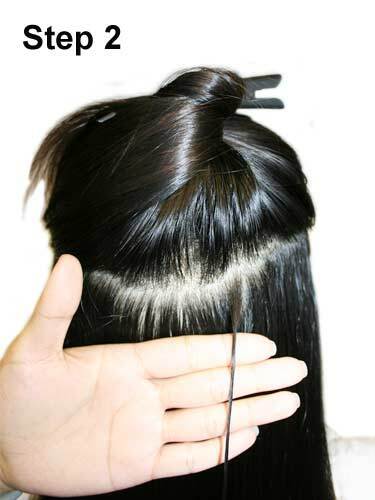 Lovely silky soft hair! Worth the price! It is 2" longer like it states but thats a plus for the price! Ive had to put over 200 strands in my hair and had to order more as about 30 have fell out ive ordered over 100 more as i need them in as my prom is in a few weeks the hair is good but rings arnt great as they dont hold well. If they fall out again once i get them put in and i have to order some more i would have spend more money on them than anything else. Gpt delieverd quick only good thing really. I really liked these hair extensions, the hair feels good quality, a bit dry at times after curling them etc. Iv worn mine about 5 times and the auburn colour at the bottom has faded unbelievably. They have never been washed or had any products on them. Overall I would not advise purchase. Excellent product, hair is good quality and delivered quickly, I first ordered 4packs after reading the other reviews however this wasnt enough for a full head I have used 7 packs for a full head and I don't have thick hair. Really pleased with product, just what I wanted! Delivery was excellent! Less than 22 hours after ordering, the parcel was delivered! I'll be ordering more of the same as I misjudged the amount I needed!! Well Hun u must b stupid as if u have thick hair u need more then one pack , and can read is 20 hoops in pack but I need 3 packs to get result I wanted , so before u open mounth think twice cos I sure wiv one pack u not get thick hair !!! I originally ordered 3 packs (so 60 strands), they arrived quickly and packaged well, really good quality. Wasn't enough though so yesterday I ordered another pack which has just arrived, I'm very pleased and would def recommend. Received my lovely micro loop extensions 2 days after I paid for them, excellent service and the quality of the hair is brill. Just waiting for my hairdresser to put them in, cant wait!! To the idiot before me, the picture shown is TWENTY STRANDS you idiot not just 1 strand how stupid are you. I would highly recommend micro ring hair extensions for anyone wanting to lengthen their hair for the long-term, but not wanting do damage what natural hair they have! I got a professional hairdresser to fit mine and it cost a bomb, but it was worth it. However some of them have naturally fallen out and instead of paying an extra cost to have them re-applied, I decided to purchase these micro loop ring hair extensions. I also wanted to add some extra volume in places so I purchased a pack. And I must say I am very impressed! It has cost a tiny fraction of the price of having a hairdresser do it and it is pretty foolproof, even for a clumsy ditzy lady like me. It might take a few tries to get a hang of how to do it, but persevere and take your time, it will pay off. The only extra thing you will need is a pair of micro ring extension pliers to flatten the ring once it's in place. They can be found for a couple of quid and it's an essential tool to loosen/tighten anyway, so there's no excuse not to have one to hand! The hair itself matched my dark brown hair perfectly, the length was very generous (I even had to cut mine!) and the quality is excellent. Still to wash them but they look and feel exactly the same as the extensions I had in so I have confidence in them lasting - and if you take care of them properly they WILL last, I've had mine for eight months now and they are still glossy and manageable. I can't recommend these extensions enough. I will definitely be purchasing another few packs to keep on standby and might purchase a few of the brighter colours for a streak effect! If you had enough patience and time, plus someone to help it could even be possible to do the whole thing yourself and save at least Â£100 - Â£200 in the process. Thank you so much hairtrade! the real hair that comes through is a LOT darker than this, it actually looks brown.... thought it would be ok as real hair so would lighten it up but i would not recommend. i dye my hair regularly so know the right dyes to use but this didn't even lighten it, I've done it twice now but it has turned it a kind of pink colour. If you want to lighten it I would recommend you use bleach because nothing else will work! Or choose a colour on the website that looks a lot lighter I guess then you'll maybe get the right colour for your hair! shame it didn't work as now I'm stuck with strawberry colour extensions but my hair is blonde... never mind. these extensions were everything I was hoping for, great quality hair and very easy to apply. I only put one in to try it and it has slid down a little, however I do wash my hair everyday which the instructions do not recommend. overall excellent extensions i would recommend. only ordered 2 packs at first, relized i needed more so ordered another 2 pack...only have thin hair so would of thought that would be enough??? really nice hair though! Good quality hair. Easy to get the hang of, and easy to take out. Brilliant fast delivery as always! I ordered 6 packs thinking there would be plenty,but it really didnt look thick enough and was dissapointed, and so ive ordered another packs which should be enough.Lovely quality hair and really easy to apply on your own.Really like this product!! I recently Bought 4 packets of Micro- Loop Extentions and when they arrived i was worried that there wouldn't be enough to cover my whole head, but when i got them all in there was more than enough, i used to have clip in extentions and i find thease miles better, they are just like your own hair! I love mine ! I bought 3 packs of the micro loop ring hair extension, they are amazing! I normally wear clip in extensions on nights out but really wanted some that I could on for longer. I looked into extensions from salons and they are so expensive. These really are just as good and a third of the price. My boyfriend helped me put them in and everyone has said how real they look. Will definately keep using this product! Well i bought just 1 pack, they are really nice and easy to put on head but i still need buy about 5 or 6 pack cos they arent thick like pic showing.